The real estate market is as H-O-T as a summer heatwave right now. 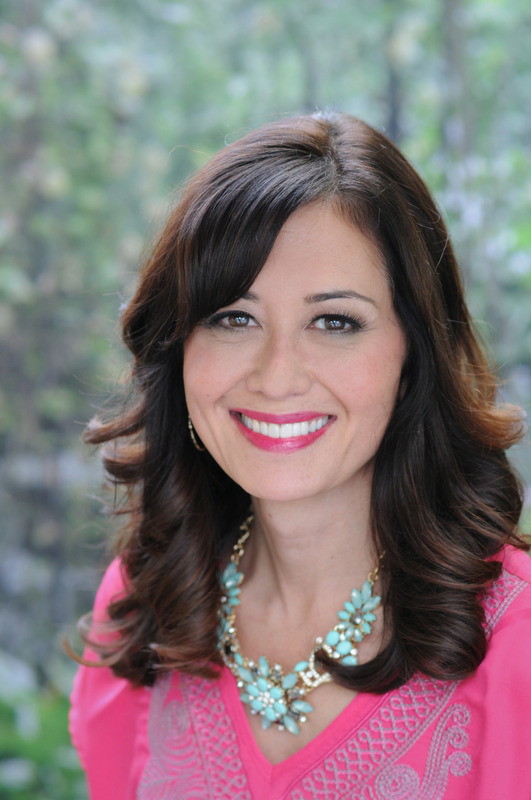 Whether you’re thinking about putting your home up for sale or just want to boost it’s curb appeal (and make all your neighbors jealous), here are some simple ways you can make a big impact– even with a small budget. Before you begin, stand in front of your home sweet home and take a look with fresh eyes. What do you see? Peeling paint? Weeds? Kid’s stuff strewn all over the front doorstep? 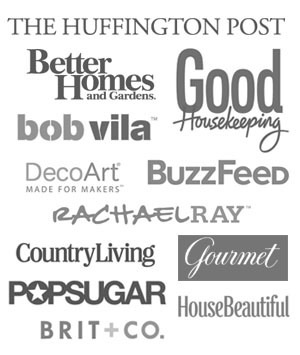 Ok ready, set… let’s give that curb appeal a boost! 1. Garage Door Stain: Why settle for a faded, outdated garage door when you can easily update it with stain, like Domestically Speaking did. 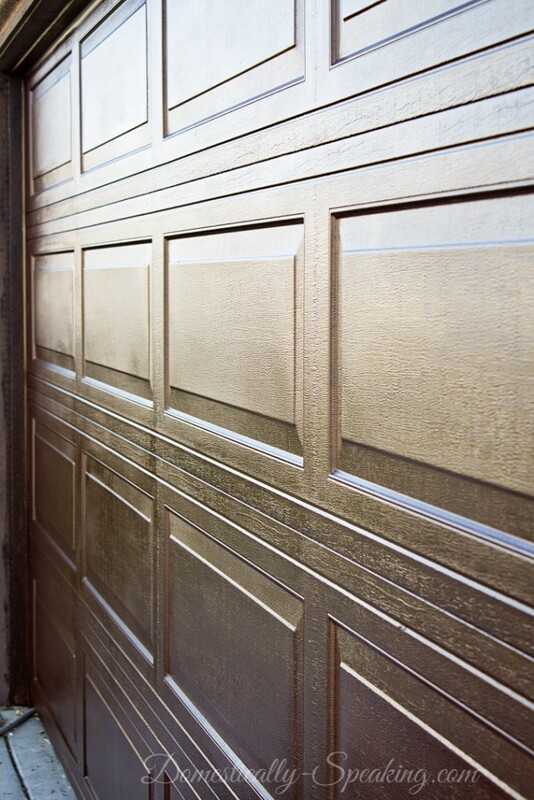 Your garage door can go from drab to fab in an afternoon, dramatically improving the view from the street. 2. 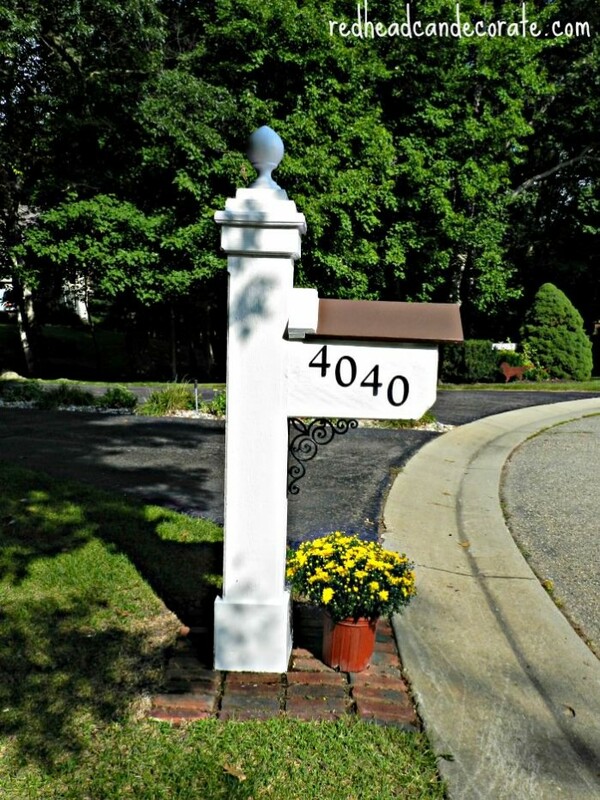 Mailbox Makeover: If your mailbox screams “return to sender” it might be time to give it an upgrade. Redhead Can Decorate overhauled hers with a few simple steps. 3. 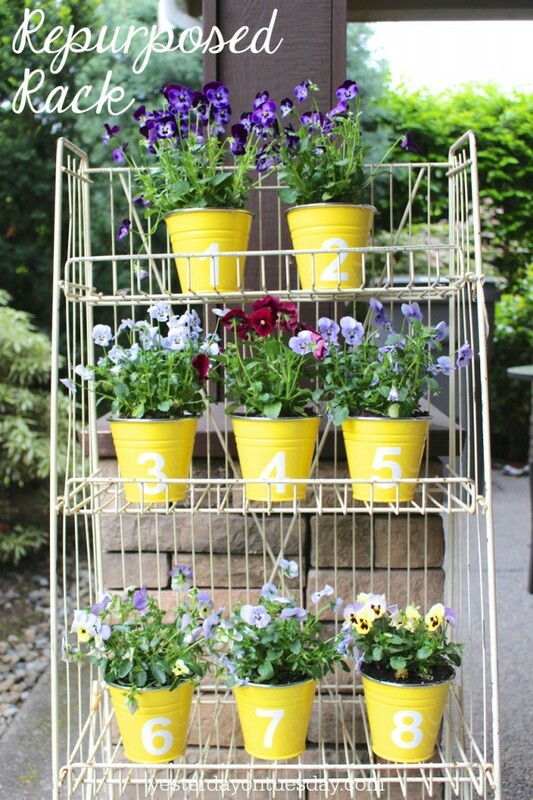 Bring on the Blooms in a Repurposed Rack: If you want to add some flowers to your entryway, but don’t have the space for a large planter, you can get the same affect by displaying multiple flowers of the same kind. 4. Eye Catching House Numbers: House numbers are easy to change. 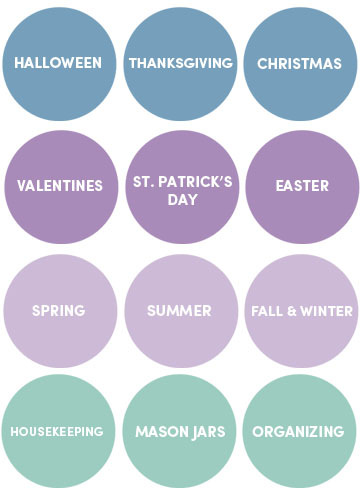 Consider the look of the house, and what style of house numbers would compliment it. 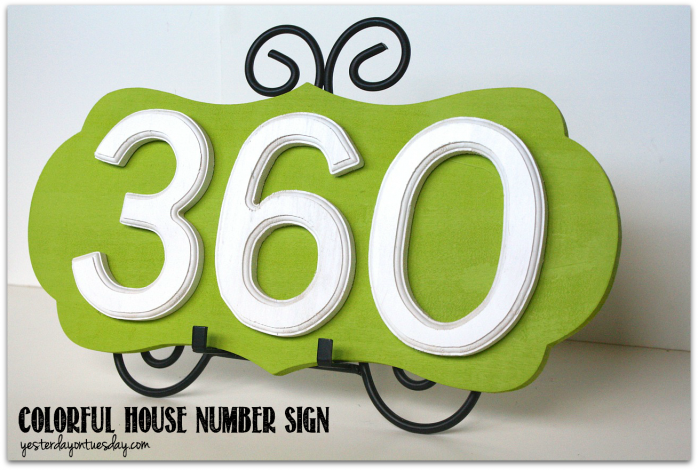 You can whip up a colorful house numbers sign in a couple hours! 5. Front Yard Makeover: If your front yard’s theme song is “Welcome to the Jungle,” give it a mini-makeover. 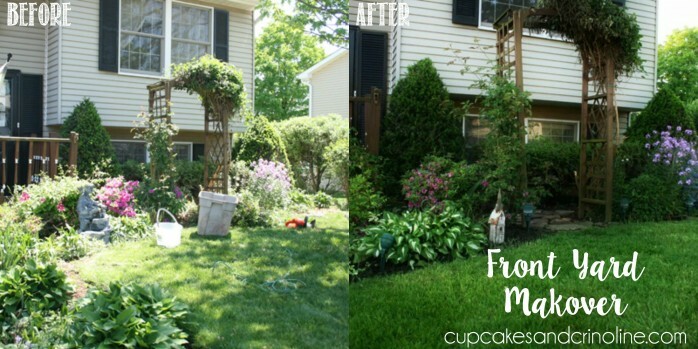 Cupcakes and Crinoline did, and it looks like a different yard. 6. 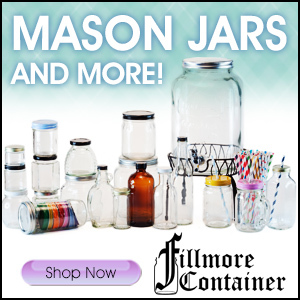 Stow Away Stuff in Cheerful Catchall: Outdoor toys and sports equipment can leave your front porch looking downright messy. 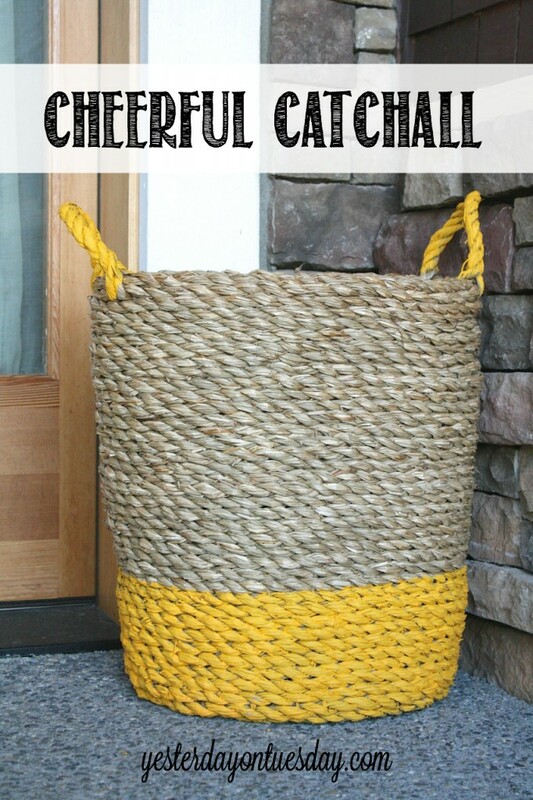 A colorful and cheerful catchall is a quick fix for hiding this eyesores in a hurry. 7. 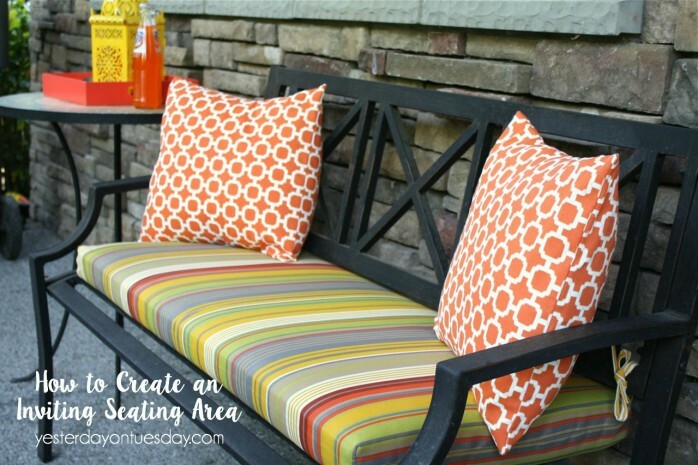 Create an Inviting Seating Area: Shop your home for pillows and other design details to create and inviting seating area. 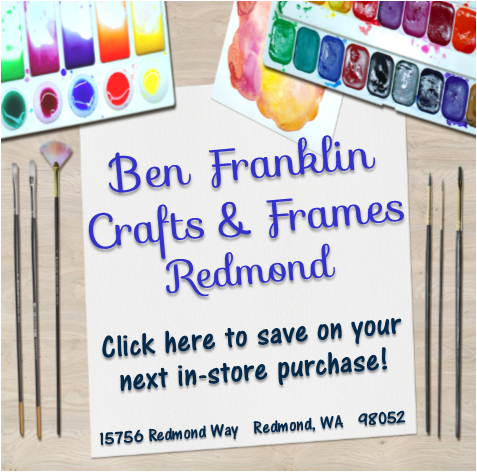 It’s a a budget friendly way to spruce up your outdoor space. 8. Get Your Door out of the Doldrums (or is it door drums? ): If your door is outdated, a coat of paint can transform it in a few hours. 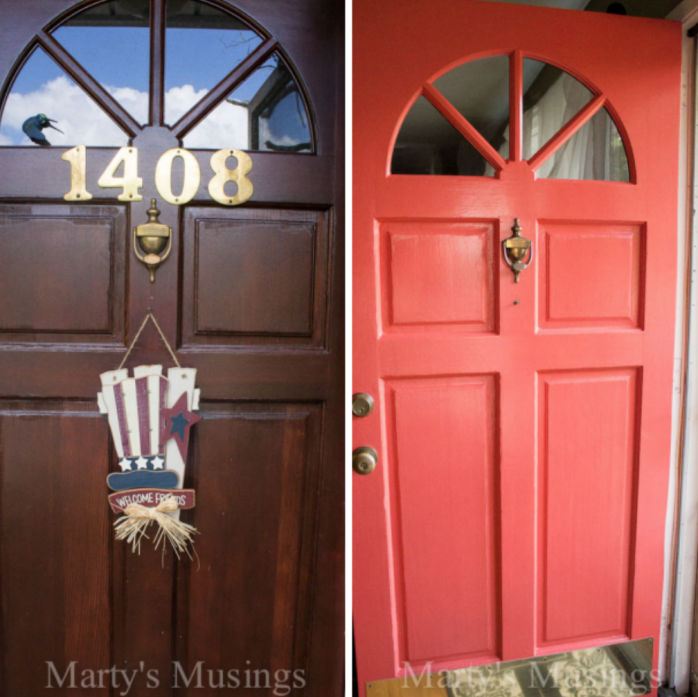 Marty’s Musings painted her plain wooden a door a refreshing shade of salmon, making her home look bright, cheery and modern. 9. 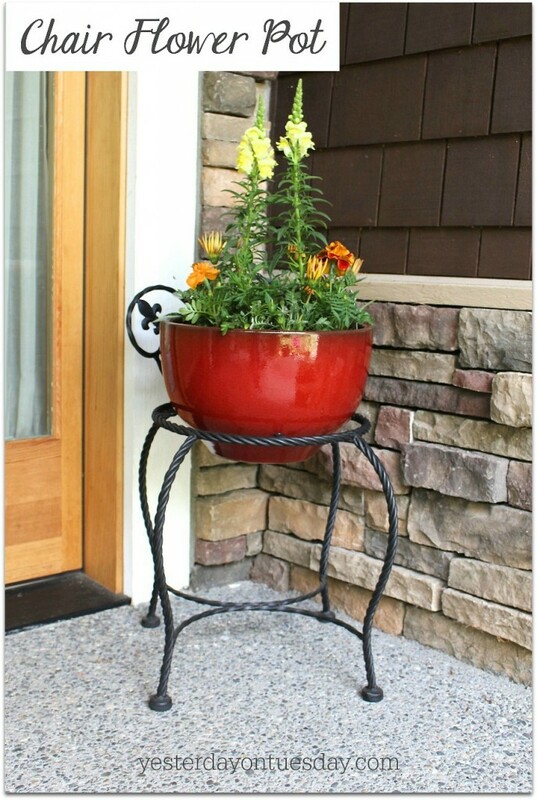 Upcycle Unused Items to Make a Planter: Think “outside the flower pot” for planters. Here, the cushion was removed from an old metal chair and replaced with a planter. 10. 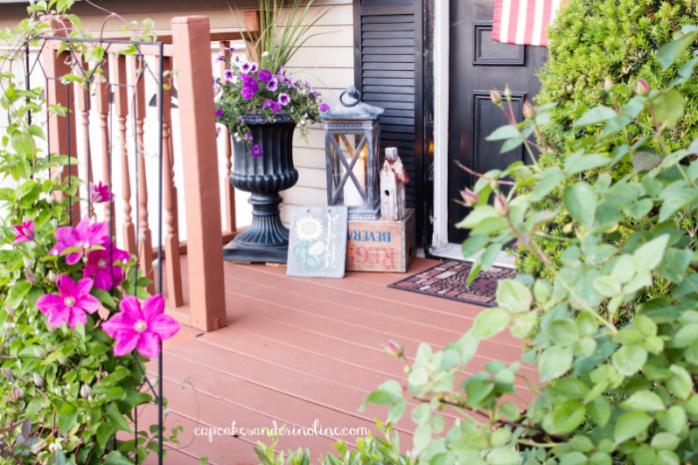 Add a Pop of Color: You’re not boring, so why should your front porch be? 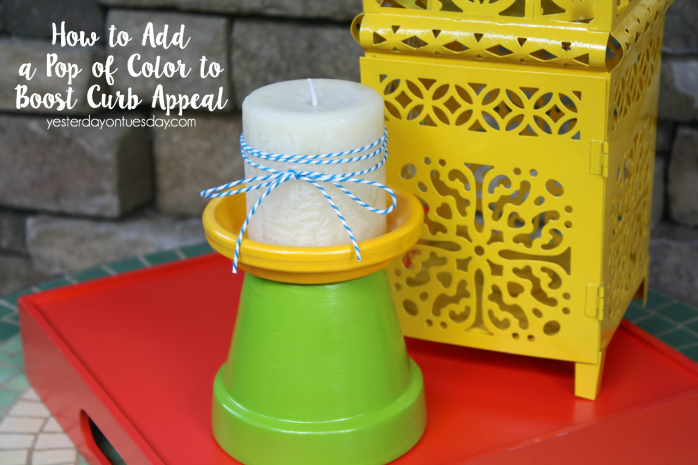 Accent pieces like these Summer Bright Candle Holders make your entry way pop. 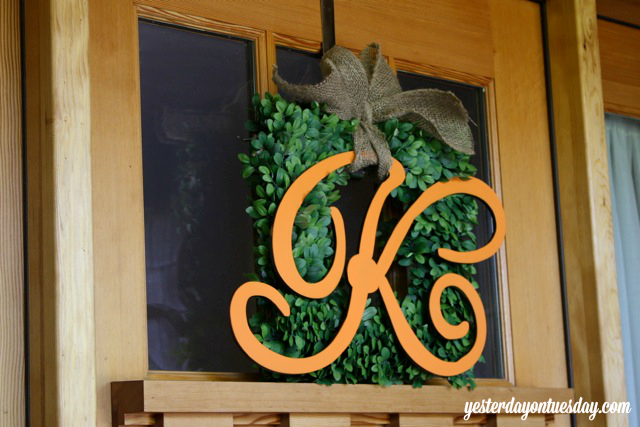 11: Personalize a Faux Wreath: A wooden letter gives a customized look to a faux wreath. 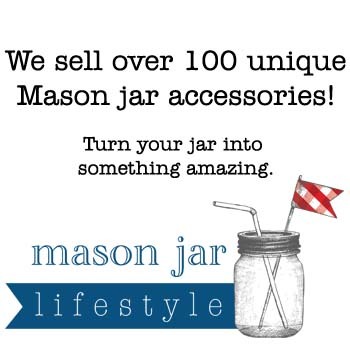 12: Consider a Classic: Invest in seasonless pieces you can use all year long, like Cupcakes and Crinoline. This classic black urn can be customized with colorful flowers in the summer and more muted tones in the fall. 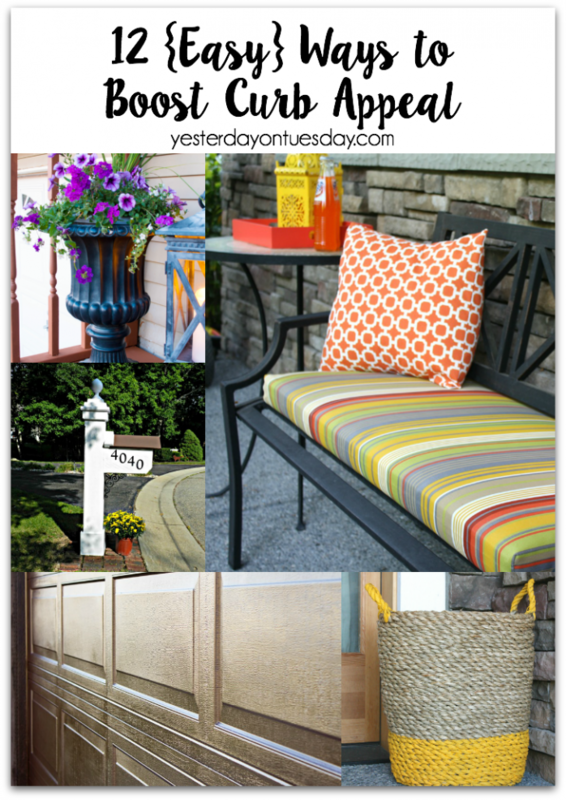 What a great round up of wonderful ideas to improve our curb appeal!